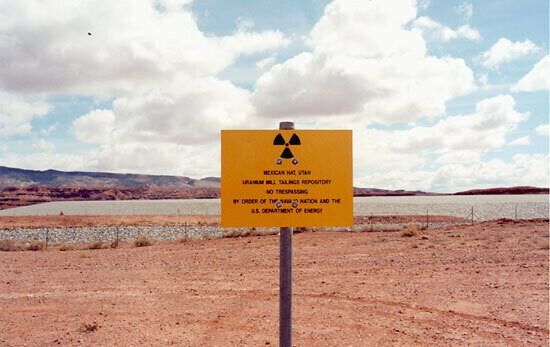 The Mexican Hat Disposal Cell is the location for radioactive material from a uranium mill located nearby which operated from 1957 to 1965, and from another uranium mill site 15 miles southwest, near Monument Valley. The mill there operated from 1955 to 1968. 1.3 million tons of tailings and waste were brought from the mill site by truck in the early 1990s. 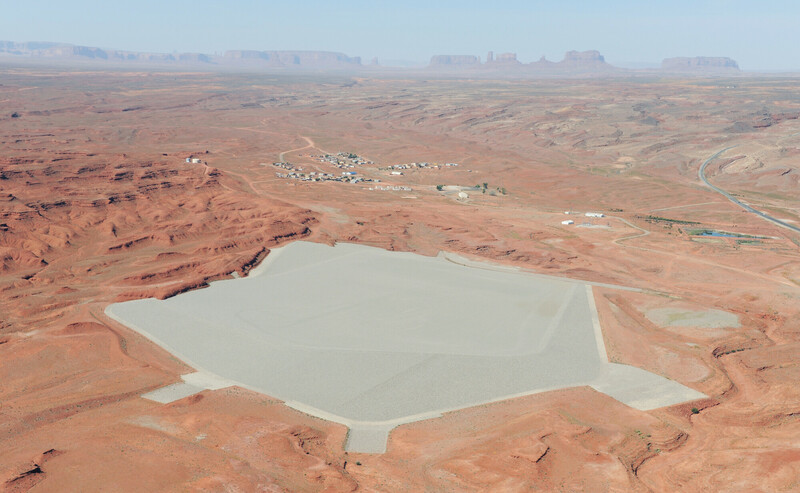 It was combined with demolished buildings and tailings from the Mexican Hat mill site, along with 11 buildings in the area that were constructed with contaminated tailings material, including a school, for a total of 4.4 million dry tons of material (3.1 million cubic yards). The collected contaminated material is covered by a 24 inch thick radon barrier and about 20 inches of coarsely crushed riprap rock. The clean-up and cell was done as part of the Department of Energy, Uranium Mill Tailings Remedial Action Program. 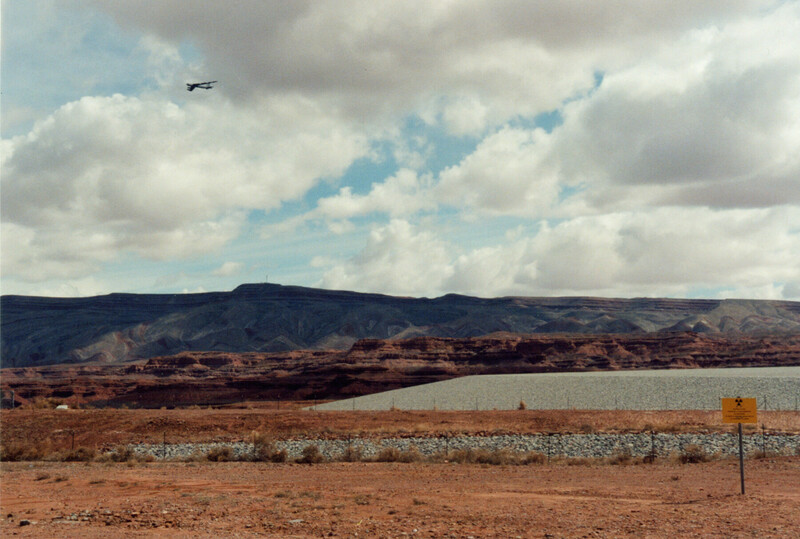 The disposal site and the original mill sites are on Navajo Nation land. The disposal cell is 1,400 feet long, and covers approximately 68 acres. It was completed in 1995.